Simplus | How can health and life sciences leverage Salesforce CPQ? In the ultra-competitive health and life sciences environment, organizations are searching for ways to decrease costs and increase revenue. One meaningful way to improve an organization’s bottom line is improving the effectiveness of your Salesforce automation or Salesforce Sales Cloud by using a configure-price-quote (CPQ) tool. The quotes produced with CPQ software are generated from preprogrammed rules, ensuring error-free pricing that takes into account quantities, discounts, customizations, and optional features of products. Salesforce CPQ is a quote-to-cash tool that provides accurate pricing with any given product configuration scenario. It provides your sales team with easy-to-use software, available on any device due to Salesforce’s cloud-based platform. Why should HLS organizations consider CPQ? Pressure to Reduce the Cost of Care: Between the Affordable Care Act, declining insurance reimbursements, and the commodification of healthcare, healthcare providers are driving providers and suppliers to reduce costs. Consumerization of Healthcare: Patients have more healthcare options, and they are paying a larger portion of healthcare costs. This leads them to take a more active role as customers, and they are comparison shopping healthcare options. Hospital Consolidation: Many hospitals are consolidating into large hospital networks and using more centralized purchasing to maximize buying power and reduce costs, optimizing buying power and lowering costs. Hospital consolidation is driving price transparency and putting price pressure on suppliers. Value-Based Care: Value-based care models encourage organizations to justify costs in terms of the improved outcomes they deliver. To deliver the best care to their patients, organizations are redefining their overall strategy to differentiate themselves with superior customer experience and better results. These factors and others are driving decisions on what healthcare providers buy, what they are willing to spend, and how they make their purchases. To successfully respond to the changes in healthcare purchasing dynamics, healthcare suppliers must transform their internal systems and processes to be more in tune with these trends. Can CPQ increase YOUR bottom line? Organizations that use CPQ software are seeing impressive results in time, deal size, quote accuracy, and sales processes. CPQ Reduces Wasted Time: Organizations are using lean manufacturing principles, such as eliminating waste in the production process. Extending these principles to sales processes can help make you more profitable. Time spent going back and forth on configurations and quotes because information is missing wastes both the salesperson’s and the buyer’s time, indirectly decreasing confidence in the organization. If your sales team has to research and write each quote manually, they are spending their time needlessly. Because sales quotes from Salesforce CPQ are generated from preprogrammed rules, the quotes are available very quickly. This eliminates the time it takes to make and verify a manual quote and makes approvals easier or unnecessary. CPQ Identifies Specializations, Add-Ons, and Options to Increase Deal Size: Every sale can’t be led by a Subject Matter Expert (SME) with the knowledge to solve problems and awareness of which solutions will be most efficient to implement. However, using Salesforce CPQ extends your SME and can be a valuable tool when you can’t have an SME on every sales call because your products’ specifications and options are programmed directly into the CPQ software. 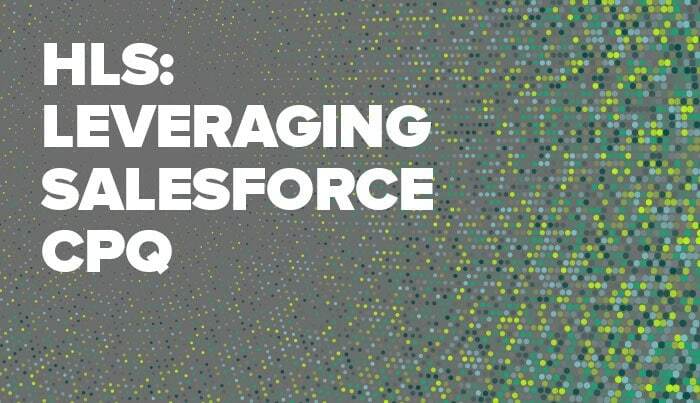 Salesforce CPQ helps salespeople ask the right questions to offer specializations, add-ons, or complex configurations. The results are bigger deals and happier customers who get the expertise your organization delivers. 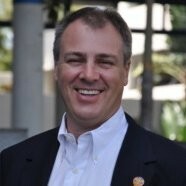 Increased Sales by Providing Accurate Quotes: Because sales quotes from Salesforce CPQ are generated from preprogrammed rules—ensuring error-free pricing that takes into account quantities, discounts, customizations, and optional features of products—the quotes are produced accurately and don’t add the risk of operator error that may happen in a manually generated quote. Don’t let inaccuracies lead to lost deals. Salesforce CPQ is more than just a sales solution or a back office solution. It is a means for your organization to streamline bulky quoting and pricing processes into a smoother process and, most importantly, more profitable sales deals. For more information, see Build Recurring Customer Relationships with Salesforce. Adding Salesforce CPQ to existing Salesforce services defines sales as a process and helps teams focus on maximizing time and resources, increase quote accuracy, and land bigger deals.